It's the last day of school and the most sublimely beautiful, early summer day in New York City. 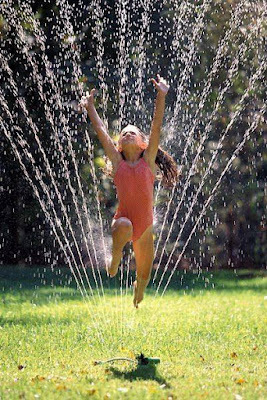 My charge is at the park with a pack of his best friends, there is an endless supply of pizza and sweets, and I've just given him permission to play in the kid's water fountains in his school uniform. Because childhood. Because summer. Because get dirty. Why not? He sprints away before I can change my mind, bursting through the water with unreserved, joyful abandon. This goes on for hours. I watch with wonder at his full presence in the moment and his total commitment to the task at hand: having the most fun possible. Right here. Right now.